So I’m finally posting about my experience using the Yourtea Tiny Tea Teatox System. I posted about this when I first started a while ago, but just got to posting my video/website review about it now! I had to postpone posting them because of the 12 HoliDAYS of Beauty on The Beauty Breakdown Channel! Don’t forget to read my first impressions of the tea! Anyways here are my thoughts! The Teatox I did was the 14 day one. You’re supposed to drink the tea 3 times a day for 2 weeks 30 minutes before or after your meal. The box comes with a set of instructions that details this, but that’s the jist of it. The tea is specifically designed to help with: bloating, indigestion, problematic skin, cellulite, increase energy, reduction of excess weight, and increase energy. For more information and FAQ, visit their website! It’s more thorough with the information they provide! You can see the instructions included in the box of tea below. The ingredients of this tea are listed on the website and on the back of the box. It contains all natural Chinese Herbal medicine, and it’s actually gluten free! I honestly had some mixed reviews about the taste. If you’ve ever tried Chinese herbal medicine or really any type of Asian herbal medicine, it tastes fairly similar to that! It’s kind of hard to explain it any other way, but I guess you could say it definitely has that “natural” taste. Now for me, it wasn’t that bad, but it wasn’t super delicious. I started having an issue with the taste simply because I was getting tired of drinking the same tea, 3 times a day for 2 weeks. I ended up adding some lemon or honey just to change it up! Unfortunately, I did experience some side effects. The main side effect I experienced was some nausea. Luckily, it wasn’t too mad. It was more annoying than anything. I was describe it as mild nausea. I experienced this about day 3 or 4 and it only last for a day or two. I also mentioned in my first impressions that I had a little bit of a headache the first day or so but that could’ve just been a coincidence. After that, it was smooth sailing! This may seem kind of odd, but the main benefit I experienced from drinking this tea was the psychological effect. I know, sounds crazy. But the idea that I had to drink the tea 30 minutes before practically every meal forced me to plan out what I was going to eat and make a conscious decision to choose something healthy. For me, that made it worth it. Plus, I did feel “lighter”. I didn’t lose any weight however (my weight fluctuates a little bit anyways). 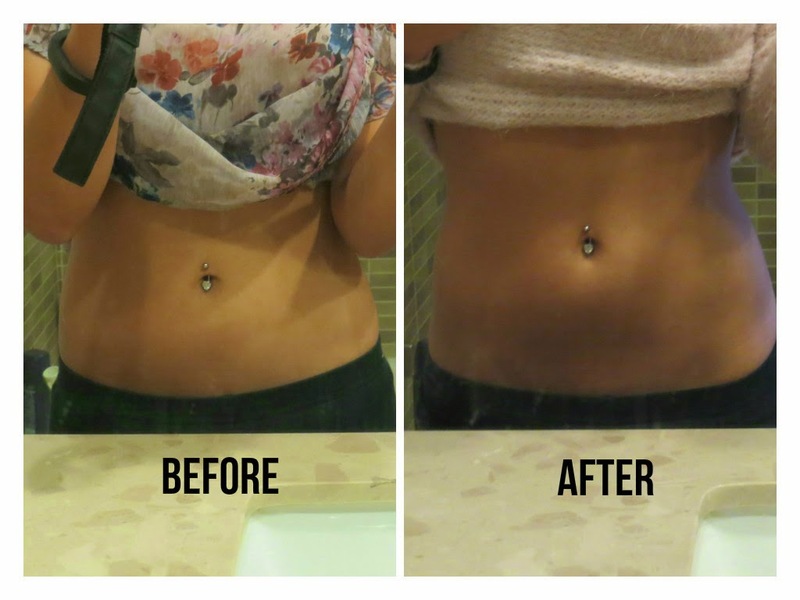 I did notice my bloating went down a little bit in my tummy area, which could’ve been the tea or my improved diet. Either way, I’m not complaining!